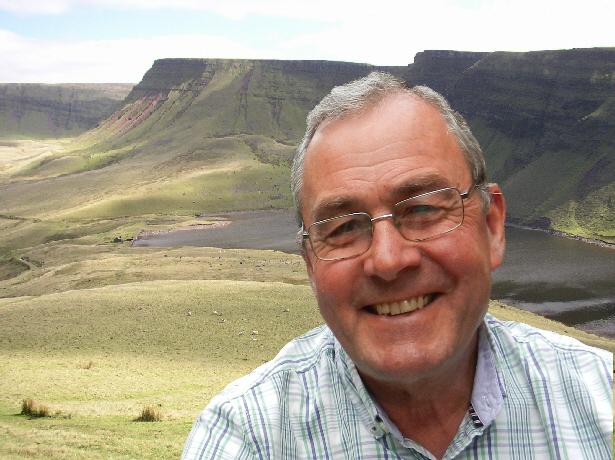 Today I’m pleased to welcome Graham Watkins to Welsh Wednesdays, another talented author whom I have met in a great author group. Welcome Graham. Please tell us about your connection to Wales. 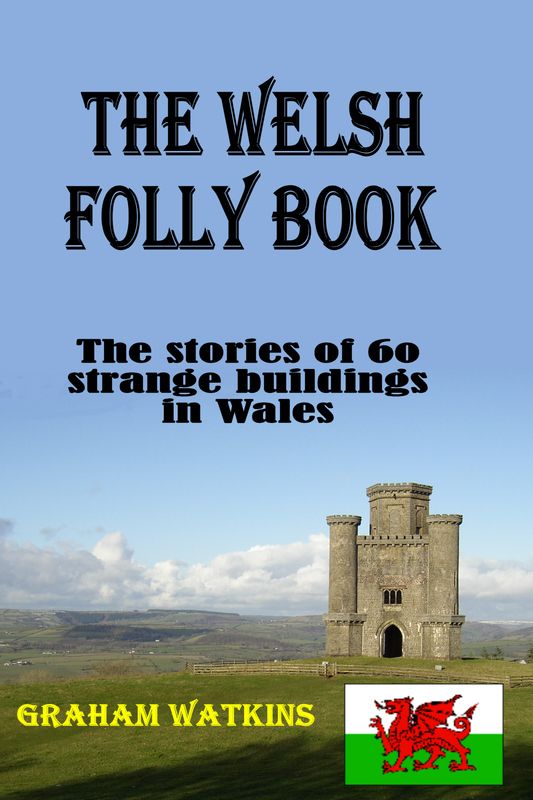 Hi Christoph, first, thanks for inviting me to participate in your Welsh Wednesday blog. My father’s family originates from Merthyr Tydfil but moved to Luton to find work during the depression of the 1920s. However they retained contact with the rest of the family and, as a small boy, my grandparents regularly brought me on holiday to an uncle’s farm in Llanllwni. Later, they retired to Brechfa which became another holiday destination. In 1989 I sold my business in Nottinghamshire and bought a farmhouse in the Brecon Beacons planning to become a hobby farmer and writer. We live in a small farming community where I’m regarded very much as an apprentice farmer. Everyone tells me there’s no money in farming but it’s great fun and the food we eat is honest, in that we know there are no additives or pesticides. I sometimes think the house is run for the benefit of Sally our spaniel collie cross rescue dog. She’s an intelligent thing and usually gets what she wants. My first book ‘Exit Strategy’ was a business self help book written to help SME entrepreneurs sell their companies. Stupidly, after numerous rejection, I went the vanity publishing route – big mistake but a valuable lesson in how not to publish. I’ve since taken back the rights to the book and self published it. 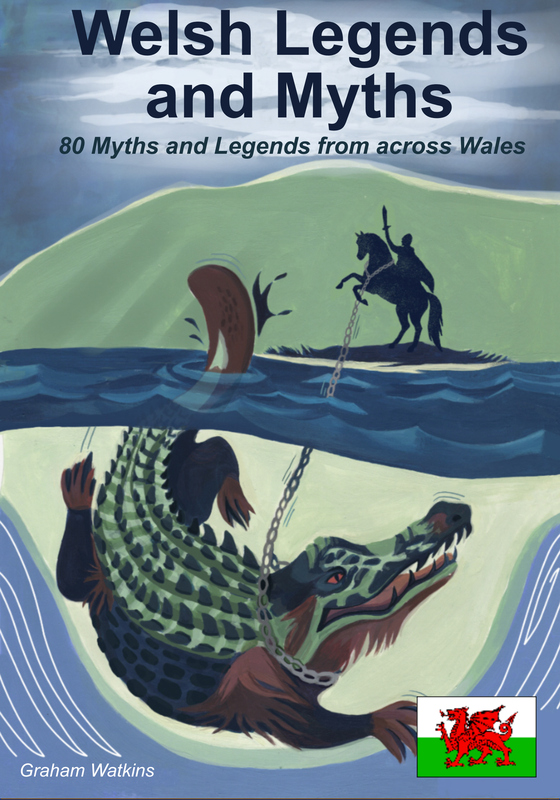 From there I moved on to writing a series of five books entitled ‘Walking with Welsh Legends’ which gave my wife and I the perfect excuse to explore Wales, walking and researching the legends. Other business books have followed. 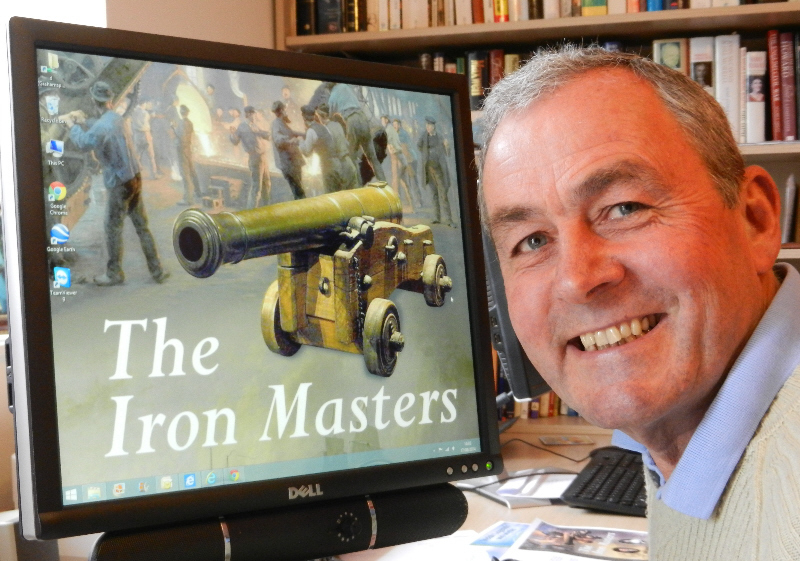 More recently I’ve written about the secrets and stories of Welsh Follies and my most recent published work is ‘The Iron Masters – An historical novel about Welsh cannon manufacturers during the Napoleonic Wars’. ‘The Iron Masters’ is my first novel and at 120,000 words, spanning fifty years of Welsh history, the biggest writing project I’ve undertaken. The storyline and research tabulated on an excel spreadsheet ran to several hundred entries. Just keeping track of everything and who characters were was a major undertaking. The original idea came from my wife’s research into our family tree which led to a visit to Cyfarthfa Ironworks in Merthyr. My Grandmother, it transpired, went to school in Cyfarthfa Castle, once the home of the noted Iron Master, Robert Crawshay. I’m not sure my writing can be pigeon-holed in a specific genre but there is a common Welsh threat running through my work. To be truthful, I’m still experimenting and learning the craft which is far more complex than I anticipated. What makes you laugh, what makes you cry? I’m not particularly sensitive although seeing some of the distressing scenes from other parts of the world, particularly the hopelessness of the refugees, is upsetting. Another, strangely, emotional thing is national anthems and the Welsh one in particular. Hen Wlad Fy Nhadau makes the hairs on the back of my neck stand up every time I hear it, usually before a six nations match. The South African anthem has a similar effect. Whether I laugh or cry, later, depends on who wins the game. We’ve been living back in Wales for twelve years now and although I’ve been a miserable failure at learning Welsh, an old dog and new tricks comes to mind, living in a Welsh speaking community has presented no problems. As a neighbour told me, ‘The sun sets twenty minutes later in Carmarthenshire than London’ so we get to stay up twenty minutes later in the evening and enjoy an extra twenty minutes in bed in the morning. Bliss! What I mean by that is the pace of life is different. Time is measured by the seasons, lambing, shearing, hedging and not the clock. 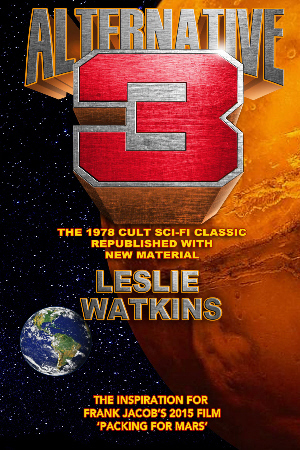 Currently, I’m stepping out of my comfort zone and self publishing a science fiction eBook called ‘Alternative 3’ in conjunction with my Father. In 1978, he wrote a book called Alternative 3 which had some success particularly in Japan and Germany. We’re republishing the book with new material to coincide with the release of ‘Packing for Mars’ a feature film by Frank Jacobs, inspired by Dad’s original novel. My father’s now 85 and living in a remote part of New Zealand. It’s been fascinating helping him rewrite and bring the story up to date. On the negative side, writing can be lonely and I’m conscious that it’s easy to become so immersed in writing that you neglect your loved ones; something I try to recognise and avoid. The great positive is the sense of enjoyment and freedom it gives me. It’s the only occupation in Wales where it’s legal to do whatever you like, to manipulate characters and even kill people. Great fun. That’s an interesting question. I’ve published using a regular publisher and as an Indie author. As far as I’m concerned Indie is the best was to go because you keep control of your work, the royalties are better and frankly, as far as I can tell, the publishers do very little promotional work except deliver consignment stock to the Welsh Books Council – something I am capable of doing myself. However, the marketing is an issue. Social media is time consuming and fraught with stumbling blocks. I find the best approach is to allocate my writing time in advance and stick to the plan regardless of what shinny temptations come along. It’s not easy and marketing time can quickly become – wasting time. Self publishing is like running a business and there are a lot of different skills involved. The hardest part for me, and I suspect most authors, is the marketing. It often seems as if the rewards are not worth the effort and mistakes can be costly. 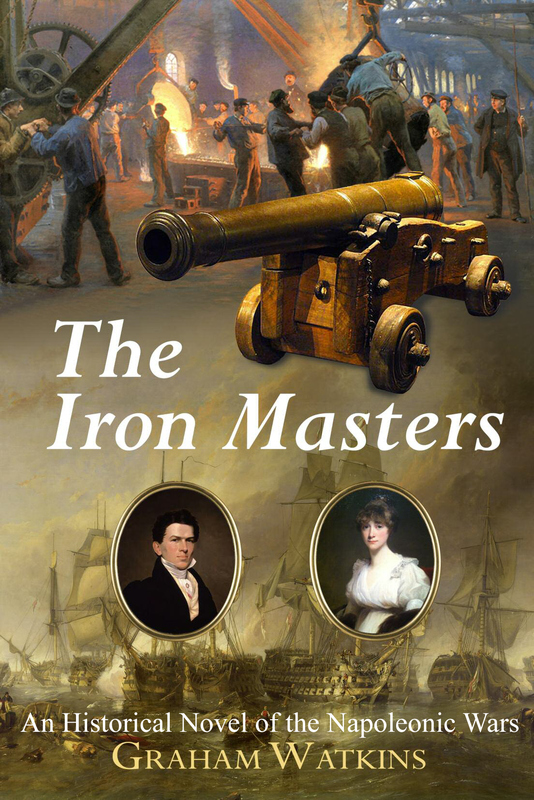 One such mistake I made was to make ‘The Iron Masters’ free for three days using Amazons KDP select during which I spent a lot of time promoting it on social media, asking for reviews in return for the free read. Outcome – over 1,000 downloads resulting in two, thank goddness good, reviews. I’d just given away my most prized product and done a lot of work for nothing. Fortunately the positives, like emails from appreciative readers and surprise invitations to speak at public meetings make up for the more painful lessons. Researching ‘The Iron Masters’ gave me an excuse to re-read two of David Howarth’s books ‘Waterloo’ and ‘Trafalgar’. He’s a superb writer with the ability to present a complex story in plain language. It’s a rare gift and I read both books several times. Of the two my favourite is ‘Trafalgar’ probably because I spent four years working as a marine engineer. I’d give new readers two pieces of advice. First, treat your writing like any other job with a routine and a place where you can work undisturbed. Secondly, after completing a manuscript leave it to stew for a couple of weeks before doing your first sub-edit. You can always start something else in the meantime. Then, when you start editing be prepared to cut, cut and cut some more. It’s better to have a good, tightly written, work of 60,000 words than one 100,000 words long, filled with redundant packaging. I’m reading Alternative 3 as we speak and it’s very interesting. Hi Christoph. This is a fascinating interview with Graham. (Nice to meet you Graham!) I continue to be amazed by all the talent Wales produced. Happy New Year to you both. Mega hugs! Two things stand out for me here: the use of the words “honest food” and this delightful man’s mention of his dog, Sally! I enjoyed this and found your guest, Mr. Watkins, to be refreshingly thorough and extremely helpful in answering these questions! I love Welsh Wednesdays! Cheers to you both! Thanks everyone for your kind comments. It really cheers me to realise just how many great authors we have here in Wales and how supportive they can be to each other. Having read some of Christoph’s work I felt honoured to be interviewed by him and enjoyed answering the questions. Writing is rewarding but it can be a very solitary business living, as we do, in a fictional bubble. It’d good to step outside sometime, leave the characters we’ve invented to their own devices and chat with real people. P.S. My own blog has been neglected recently – too many other writing commitments – but I have reposted Christop’s interview. Thanks Graham. It’s been an honour to have you here as guest. Best of luck with the new project!